The overdress is made of bridal satin in your choice of color. 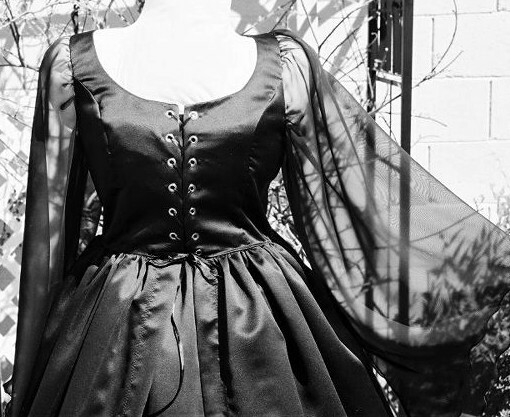 The bodice part is fully lined and boned at the lacings and there is a privacy panel. It laces up through professional-strength grommets. 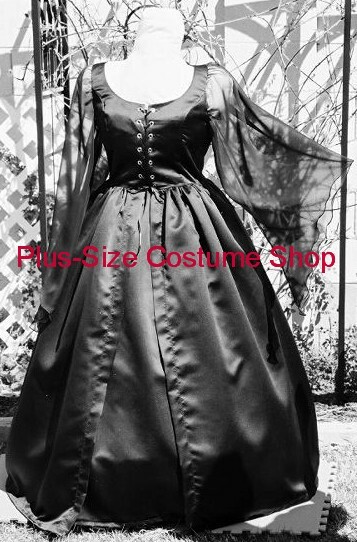 The overdress has attached sheer chiffon sleeves cut in the gothic style in your choice of color. The skirt is made of bridal satin in your choice of color. The skirt has an elastic waist and will come hemmed at 44" (extra long - will usually work for someone up to 6'2" tall) unless a specific shorter length is requested.